[Diocese of Atlanta] Clergy and laity of the Diocese of Atlanta gathered this week for their renewal of vows in the sanctuary of the historic Ebenezer Baptist Church where the Rev. Martin Luther King Jr. and his father and grandfather preached. Diocese of Atlanta Bishop Robert C. Wright, whose diocese also includes middle and north Georgia, said he sought permission to use the site because of its connection to the civil rights movement leader and the recognition of the humanity of all Americans. Wright said the small sanctuary that launched King to the international stage is a powerful symbol of possibility. “The local parish is still the hope of the world. If that sounds like too much to say, look around. This is a totally average parish. Still, from this place, a soul was equipped to confront pharaohs, mobilize people and call a nation to its better self,” Wright said. Since his ordination in 2012, Wright has focused renewal services on the diocese’s relationship with other denominations and religions and its mission to the world. Services have been held in a homeless shelter, a Jewish synagogue and at a parish church where a Muslim preached. When held at the diocese’s Cathedral of St. Philip, the services have featured a choir from a women’s prison, preachers from other denominations and, once, a foot washing. 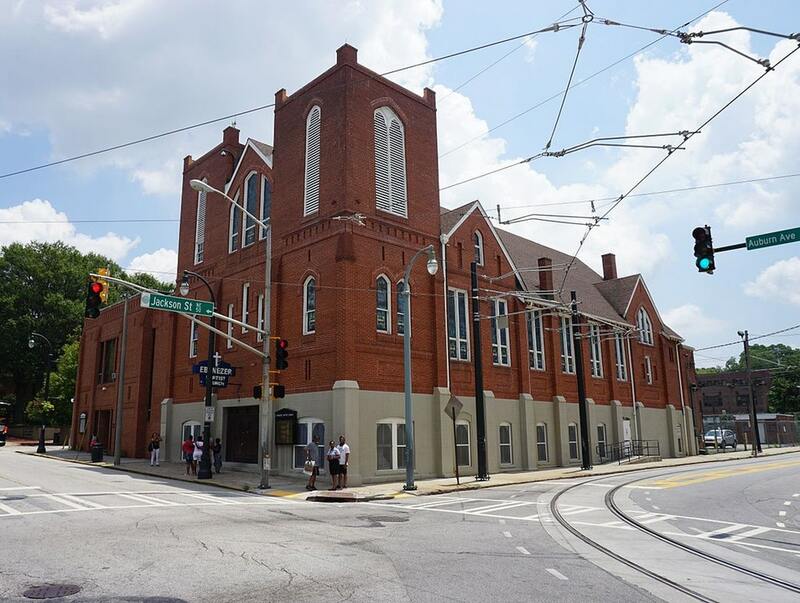 Ebenezer Baptist Church, a national historic site not normally used for services, was opened to the diocese by Ebenezer Baptist’s current pastor, the Rev. Raphael G. Warnock, Wright’s friend and fellow advocate for social justice. Wright called for clergy and laity to actively seek new possibilities for sharing Jesus’ message in the world. Standing behind King’s pulpit, adjacent to the organ where King’s mother was shot and killed, Wright said holding the service at Ebenezer highlighted current faith issues, such as gun violence. “What I want to point out here is, this place knows pain. It’s in the walls and the wood,” he said. “And if you’ll acknowledge that, then maybe in the spirit of fellowship, you could acknowledge your own pain in this place. Or at least pledge to. 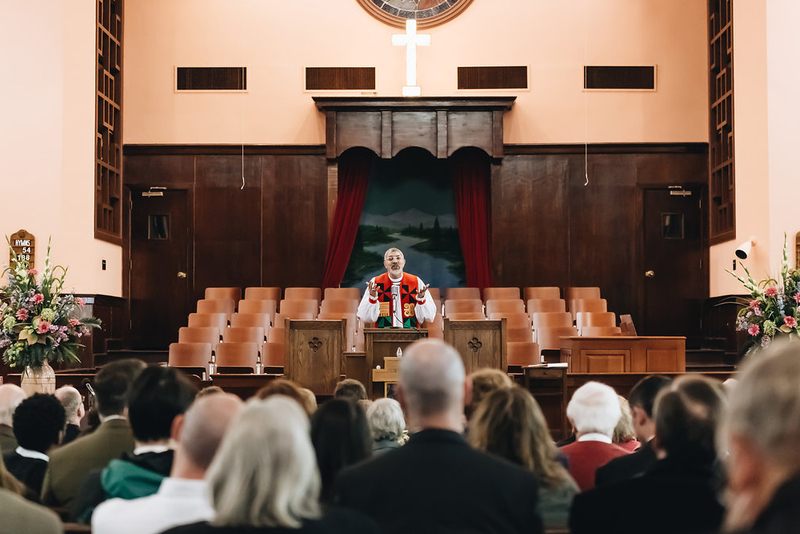 Wright urged those at the service to breathe in the sanctuary’s history for their spiritual renewal. — Don Plummer is director of media and community relations for the Diocese of Atlanta. I wish I had been there. Thanks for writing this up.